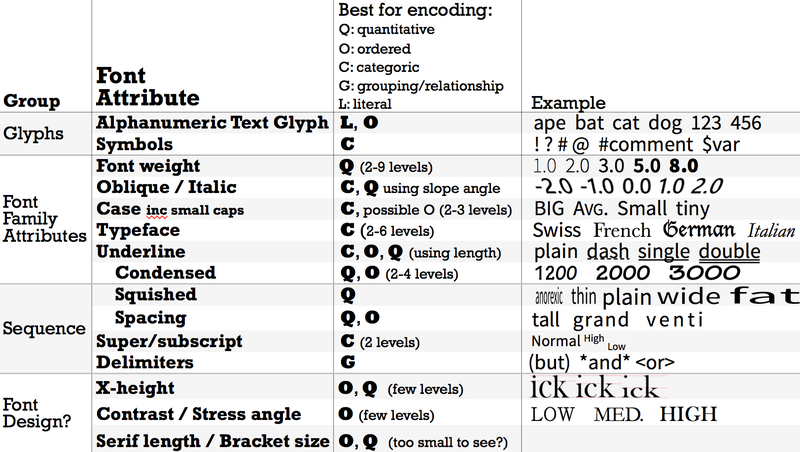 Table showing font attributes for encoding data based on historic usage. Table also indicates what types of data the attributes can encode and examples. Last 3 rows are speculative, not based on historic usage. This post will also be updated with the corresponding slides, although a few permissions need to be checked first.